For much of North America, autumn means shorter days, cooler temperatures, and changing golf course conditions that include an abundance of leaves, thinning grass and firmer ground. And yet, in many ways, fall can be the best time of year to enjoy a round of golf. The scenery is stunning and courses are less crowded. Following are suggestions for how you can make the most of your autumn golf days with select accessories, equipment, and apparel. Grip protectors – Keep your grips dry and protected from debris with GRIP-DRY®. Winn Dri-Tac Grips – A change of seasons is an ideal time to regrip your golf clubs. These grips come in a variety of sizes and models for men and women. And they remain tacky in all weather conditions. Golf gloves – An important accessory in any season, the right golf glove (or a pair of gloves) can be even more important in fall and early winter conditions. Here are some choices for warmth and for a comfortable grip in dry or wet conditions. Headcovers and Iron Covers – Keep your equipment dry and clean in all weather conditions with durable headcovers and Iron Covers. Golf brushes – Keep your golf clubs and golf shoes spotless with specially designed brushes. Sun Mountain Dry Hood – An accordion-style rain hood that covers and protects your golf clubs from the elements. Umbrellas – Keep an umbrella in your golf bag or golf cart for those drizzly and rainy autumn days, especially in places like the Pacific Northwest. Hand warmers – Choose from different styles of hand warmers for those days on the golf course when the temperature drops below 50 degrees. Golf balls – With leaves, small branches and other debris falling on the ground, finding your golf ball can be a problem in the fall—even when it’s in the fairway. In addition, golf balls don’t go as far in cooler temperatures. 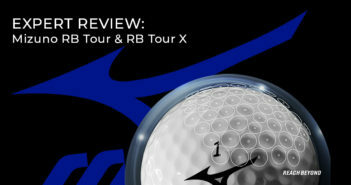 Fall is a good time to reach for a softer, lower-compression golf ball that will feel and perform better as temperatures drop and also in wet and breezy conditions. To stay warm, comfortable and dry during those cooler and sometimes rainy fall days on the golf course, think layers—shirts, sweaters, vests, pullovers and jackets. Top-quality golf apparel is lightweight, tailored, stylish and comfortable—designed to maximize your freedom of movement. Also consider heavier pants and warmer socks, as well as golf hats and beanies to cover your head. Wool fibre has moisture and temperature managing properties, helping to regulate body temperature and prevent skin from becoming clammy. Keep your core warm without restricting your swing. Stay warm and dry with waterproof boots. No puddle is too deep for these. 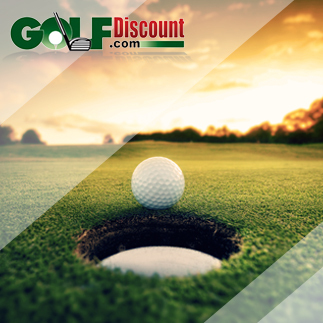 GolfDiscount.com offers a wide variety of golf apparel, including many of the top brands.